We make sure our clients receive many different styles of wedding photography when they book our service. We cover every wedding in a Photojournalistic way, including many candid photos in your final photos. In addition to this documentary style, we also provide you with Some traditional posed wedding photos. Whether your style of wedding photography is photojournalism or traditional, the important thing is that your final images reflect great memories of your wedding day. 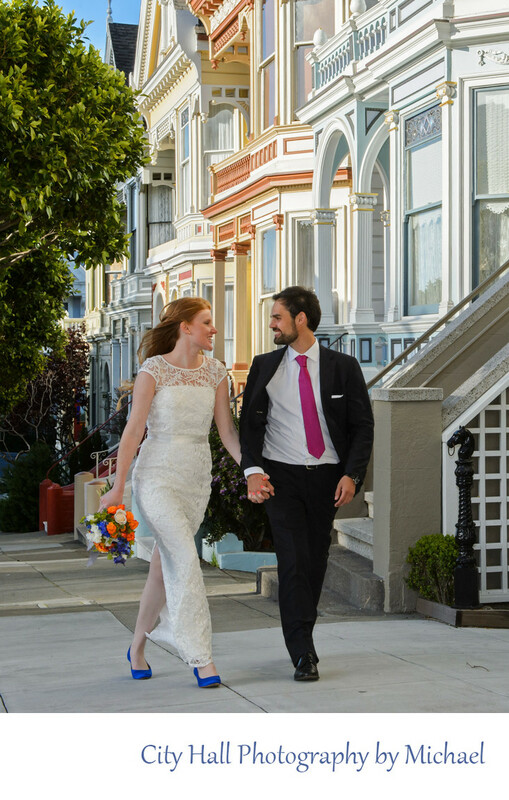 This couple really liked the Painted Ladies in San Francisco, so we drove them to the park across the street and took lots of photos nearby.